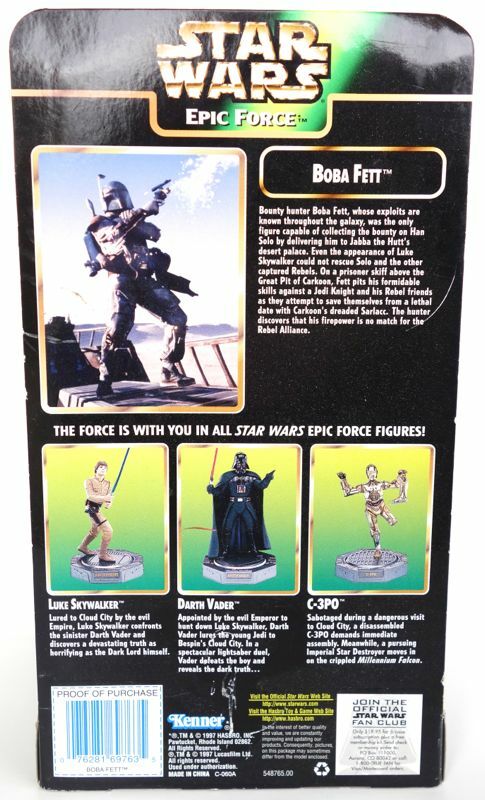 The Epic Force line was a line of large non-poseable figures (plastic statues, really) that Hasbro released in 1997. Size-wise, they’re pretty close to the new Black Series of 6″ figures, although a little smaller. 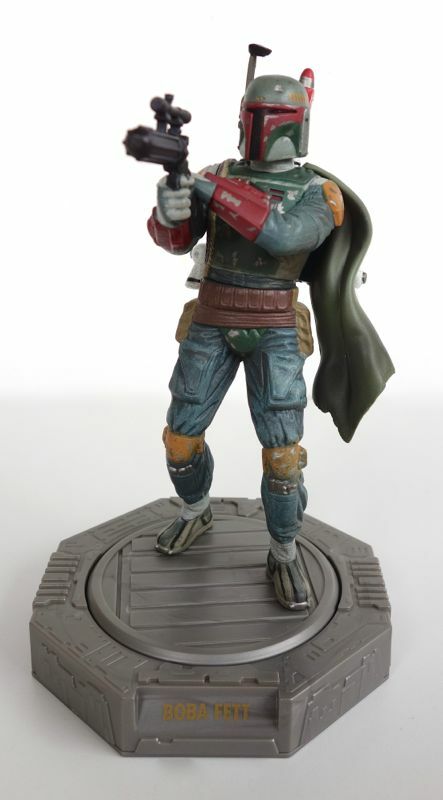 Comparing this figure to the 6″ Black Series Boba Fett shows how far figures have come since then. Despite being a fully articulated figure, the Black Series version is much more detailed in its sculpt and paint work. Still, I suppose it’s not entirely fair to make that kind of comparison, so I’ll confine my observations to this version. 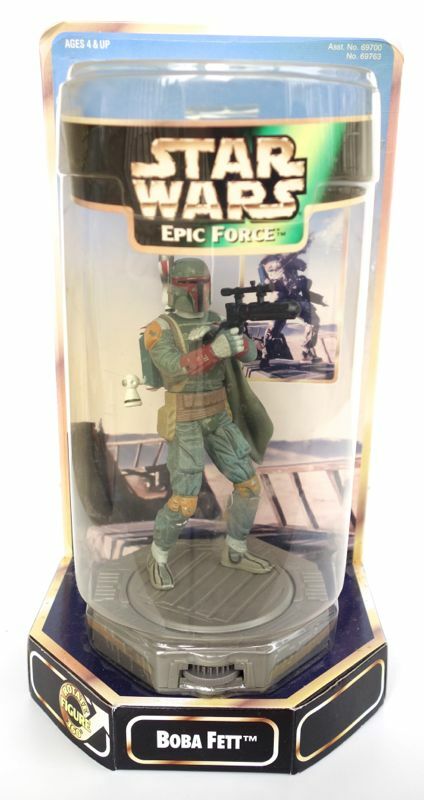 If you couldn’t tell by the pose, the red gauntlets are another giveaway that this is based on the Return of the Jedi version of Fett, from the scene on the skiff in front of the sail barge. The pose is very similar to the the one that Attakus used for their statue. 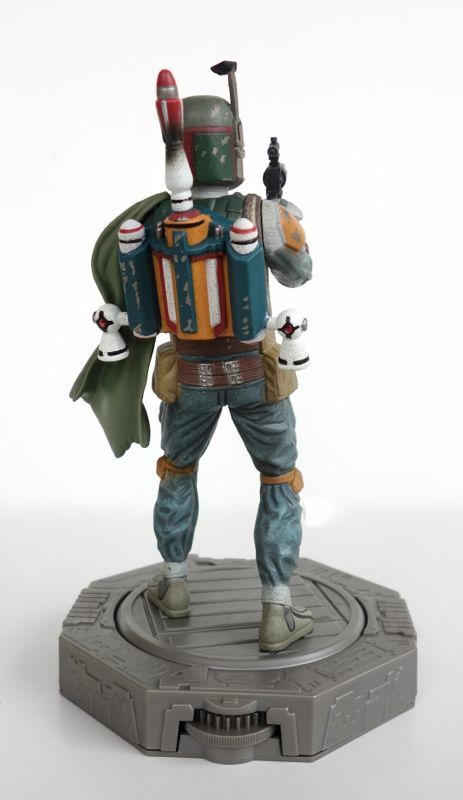 A look around the back shows the jetpack, with a more colorful paint job that is also specific to Return of the Jedi. 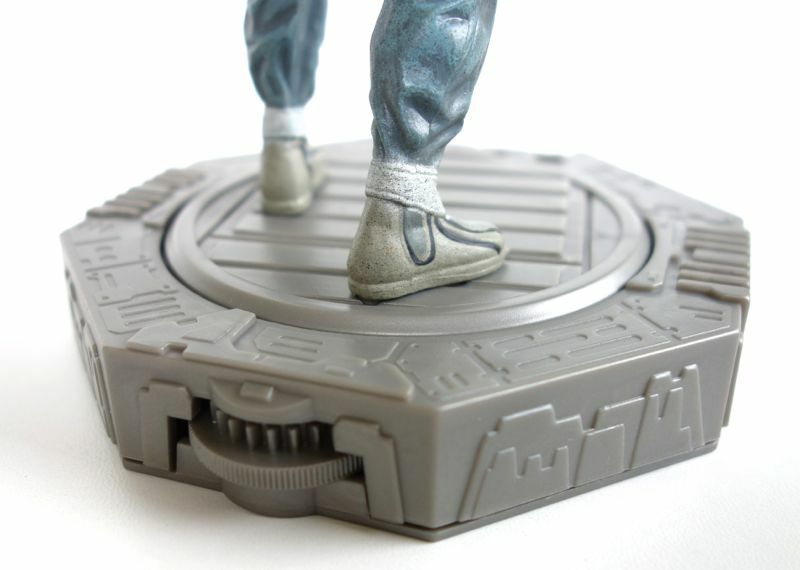 All of the Epic Force figures are permanently attached to bases, and have a little dial on them that allows you to rotate them. At first glance, this feature makes little sense, since if you want to see the back of the figure you can just pick it up and turn it around easier than you could rotate it with a dial. But I think they probably designed this with people who don’t open their toys in mind. For people like that, it would make sense since it allows them to see the back of the figure while still in the packaging. I guess it would also be useful in stores.